Chinese New Year – The Year of the Fire Monkey! I find Chinese Astrology so interesting and love all the animals and the bright colors. The animal is based on when you were born and for those of us born in January or February, we might have a different animal than our birth year depending on when Chinese New Year fell the year we were born. So for me, I was born in 1973 which would make me an Ox BUT I was born before CNY so I am actually a Rat (1972). The time of day you were born will also show pieces of your character. The most recent Monkeys have been born in 1932, 1944, 1956, 1968, 1980, 1992, 2004, and 2016. 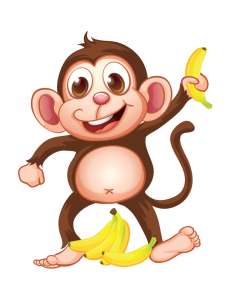 Monkeys are cheerful, energetic, wise, intelligent, confident, charismatic, loyal, inventive and have leadership. However, Monkeys have a week side and can be egotistical, arrogant, crafty, restless and snobbish. Since Monkeys are very smart and skilled, they make good leaders. They are usually in good shape. They are good at saving up money and don’t have to worry about food and clothing. Monkeys can be quick-tempered so watch out! Good luck for Monkey Year! I wanted to have a Chinese New Year drop in and fun sale but since I am limited in space with Amber the Acupuncturist being in the extra room, I thought I would just have a Firecracker Flash Sale again on Facebook. That seemed to work well with everyone’s crazy schedule and then you can shop from wherever you are! 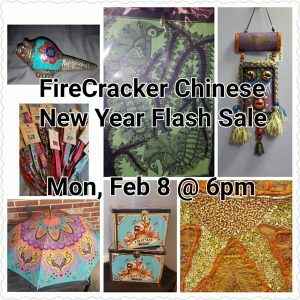 The Fire Cracker Sale will take place on Monday, February 8th @ 6pm. I will post a picture and description on our Facebook page every few minutes and the first person to say IT’S MINE! wins the item. There will be 28 items listed – 12 for the number of Zodiac Animals in Chinese Astrology and 16 for the year! And yes they are all different than last time! All items must be paid for and picked up by Thursday, February 11th. If the first person doesn’t pick up their item by Thursday then the next person wins the item. At Bocca Pure Italian, 2660 Poinsett Hwy, Greenville, South Carolina 29609. The cost is $30, which includes your lunch. Net proceeds will go to the Clemson Master Gardener Program. We’re continuing our series of Lunch and Learn Teas, and this one is all about Bees and Pollinators. Reserve your spot now (seating is limited!) and learn from several amazing ladies how to encourage bees and pollinators in your yard and help them thrive! I have been wanting to do this event for a year! 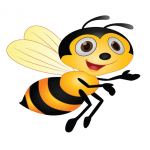 Susan with The Carolina Honey Bee came to speak to my ladies group — Women’s Social Business Group — a few years ago and I just loved it! Who knew the bees did all this great work? Anyhow, I decided to do this whole Lunch and Learn on bees, butterflies and other pollinators. Just in time to get ready for spring. So whether you are a gardener, an admirer of nature, have a black thumb (like me) or just want to come hang out with some freaking amazing ladies, please book your space today. Susan Gardner an avid honey bee enthusiast and owner/ operator of The Carolina Honey Bee Company in Travelers Rest, SC. Susan is going to be talking to us about all different kinds of bees; what honey bees need to thrive and what we can do to help. In addition to running The Carolina Honey Bee Company, Susan’s beekeeping background includes her personal bee hives which she manages at home on her farm, and her commercial hives located throughout Greenville County. She is proficient in creamed and infused honey varieties as well as byproducts of the bee hive. Susan lives on a farm in Simpsonville, SC raising and showing her dogs and horses with husband, James, and youngest son, Taylor. Her daughter, Morgan, and son, Cutter, are both enrolled in college in Clemson and Columbia. 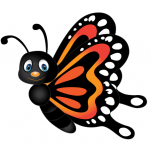 Faye Legros, a Master Gardener from the Clemson Master Gardener Program will tell us all about Monarch Butterflies: How to recognize a monarch, the life cycles of the monarch, attracting monarchs, their migration, their decline and reasons for, and what we can do to help. Faye will also share some of her personal experiences raising monarchs. Last but not least I will be doing a presentation on using honey in skincare mask preparation and the steps to creating a great at home facial. And I’ll have recipe cards for masks you can do at home. All entrees will come with rolls and Tiramisu for dessert. Salad will come with Lasagna and Fish. Please specify your choice when you purchase your ticket. If you have any special dietary requirements please let me know beforehand to make it easier on the Kitchen. Still need a special gift for your sweetie for Valentine’s Day? 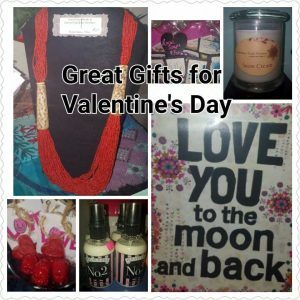 We’ve got an array of thoughtful and unique gifts that would be great for Valentine’s Day, such as Tamba Facial Brushes, Poo-Pourri, Art Work from India, Jewelry from India and Tibet, Locally Crafted Candles and various Lotions and Potions. What about a Raspberry Moon gift certificate? Wrap it up with one of our Seeds of Happiness for an extra touch of love. Don’t have time to stop by? No problem – simply purchase a Gift Certificate online and your V-day shopping is done! Service I bet you didn’t know I did – Eco-Fin for Hands or Feet! Are your hands and feet feeling a little parched? 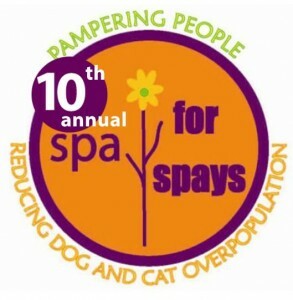 Did you know we did super hydrating Eco-Fin (all natural version of paraffin) for the hands and feet? You can easily add these to any facial. Eco-fin is eco-friendly. It is a biodegradable product with no petroleum products, no synthetic fragrances, no chemical dyes. We have different blends available depending on the season. We are going to be involved in several events over the next few months, so keep a look out on Facebook for more info and reminders! Raspberry Moon is the host of this month’s Ladies Night. 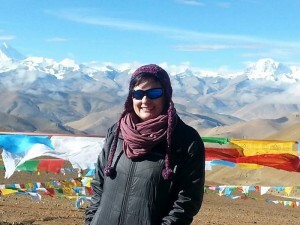 I am so excited to be giving a presentation on my 6 week adventure to China, Tibet and India. “From the Mountains of Tibet to the crazy streets of India with a little bit of China thrown in the mix – 6 weeks of amazing experiences, people, animals, temples, mosques and let’s not forget the driving experiences! Raspberry Moon will be providing Masala Chai (Indian Spiced Tea) and Kheer (Indian dessert). There will also be other items to sample, mostly made by the Turkish Ladies that are always delicious. February 6th at 6pm – Please be sure to RSVP so we know how many people to be prepared for! And please share the Facebook event (but register on the Cultural Center website) so we can get the word out. Thank you. Can’t make it but really want to? I’ll be talking about my trip on Wednesday, February 10th at the Women’s Social Business Group lunchtime meeting. RSVP on the WSBG Facebook page.